The estate was planned in the 1960s to accommodate 1,300 inhabitants in a park-like setting, with three- to eight-story buildings arranged in random formations across the site. Subsequent extensions were constructed according to the same proportionality and characteristics as the existing housing stock. 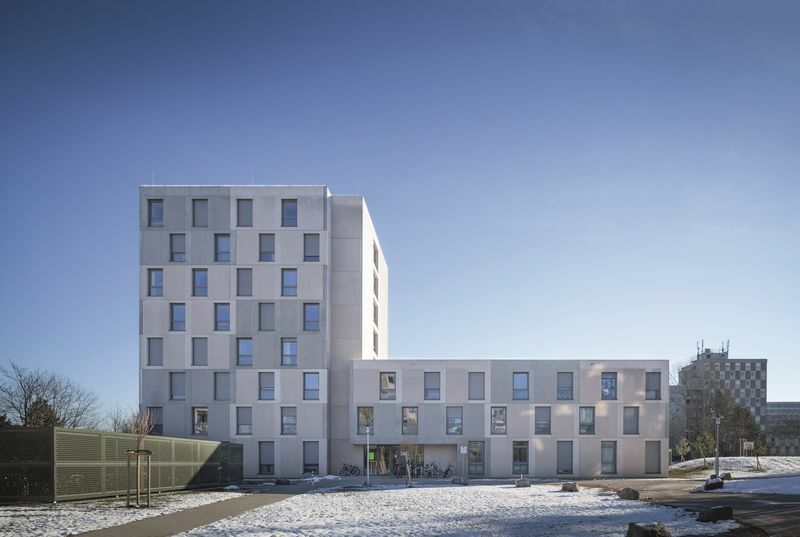 Details such as a change from white to standard concrete and window apertures offset over different floors add a softer touch to the strict grid formation of the ready-mix concrete facades. Japanese Garden in the "Seepark"